The goal of Distribution Automation in the Utility grid is real-time adjustment to changing loads, distributed generation, and failure conditions within the Distribution grid, usually without operator intervention. This requires control of field devices, which implies that information technology (IT) has developed adequately enough that automated decision making exists in the field and critical information can be relayed to the Utility control center. The IT infrastructure includes real-time data acquisition and communication with utility databases and other automated systems. Accurate modeling of distribution operations supports optimal decision making at the control center and in the field. This heavily depends on a highly reliable and high performing communications infrastructure. This document address these communications requirements as an architecture and addresses the key use cases below. 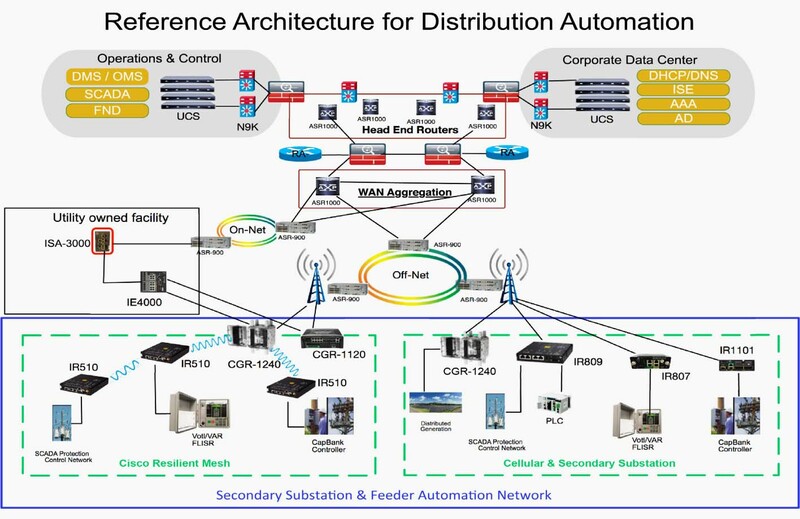 Distribution Automation technologies are commercially available for wide scale utility deployments. The key for the utility is to identify and unlock the value that these solutions provide. Applications that may have the greatest potential are those that directly effect operations and efficiency such as management of peak load via demand response, predictive technologies for advanced maintenance or equipment replacement and secure communications for equipment, and system restoration technologies. Automated control of devices in distribution systems is the closed-loop control of switching devices, voltage controllers, and capacitors based on recommendations of the distribution optimization algorithms. These closed loop systems often have rigorous communications systems requirements that vary from manufacturer to manufacturer and by application. The communications system must meet the most rigorous standards and do so at scale. 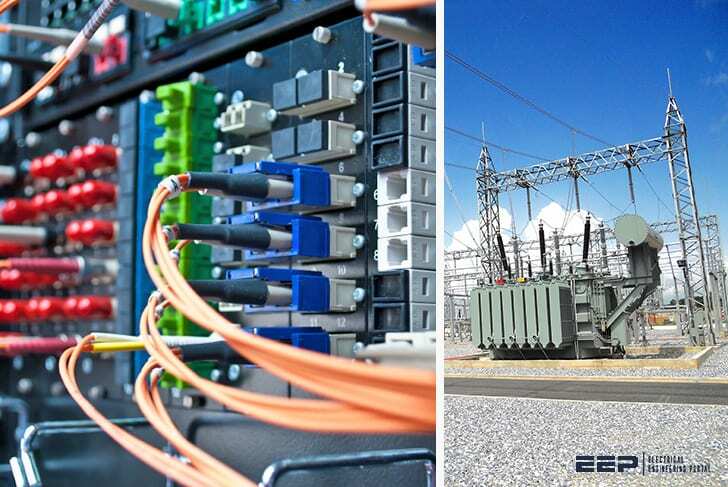 Volt/VAR control is one of the key applications to optimize the distribution grid for the utility. A utilities fault may occur when a short circuit between two phase lines occurs or for other reasons. The fault in any one of the lines can affect a large number of customers. Before the fault on the line can be corrected, it has to be identified and isolated from the large utility network. This identification and isolation is done by placing reclosers in the network. The reclosers are, in turn, connected to the recloser controller. The recloser controller is a connected gateway, which establishes a connection to the control center. When a fault is identified, the reclosers perform the trip operation and the fault is isolated from the larger network. This trip operation can be automated or can be sent from the control center. Once the fault is corrected, the close operation on the circuit, which is done from the control center, can be executed. This is commonly referred to as Fault, Location, Isolation, and Service Restoration (FLISR), and is also one of the key use cases for a utility in a grid optimization effort. In Europe, portions of South America, and Asia, the distribution scheme is based on a more centralized transformer design and is commonly referred to as the Secondary Substation. In North America, portions of South America, and along the Pacific Rim, the distribution scheme is based on a decentralized transformer model and this scheme will be referred to throughout this document as a Feeder Network. The following architecture leverages the latest technologies and recent enhancements to best address use cases and these topologies with a variety of cell-based gateways for the Secondary Substation as well as a combination of 900 Mhz mesh and cell gateways at the edge. The architecture addresses the requirements for these edge services and communications, including the edge as Neighborhood Area Network (NAN), the backhaul as Wide Area Network (WAN), and the Operations and Control Centers commonly referred to as the Headend.